DETROIT SERIES 60 POWER UNIT. DETROIT 8V92N ENGINE CORE, BUNDLE COOLERS. 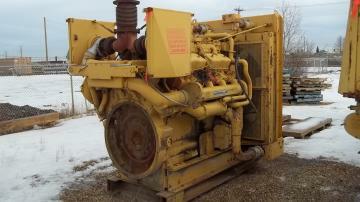 DETROIT 8V92N POWER UNIT, BUNDLE COOLERS. DETROIT 8V92N POWER UNIT, WITH PUMP DRIVE SKID. DETROIT 6V92T ENGINE W/ TORQUE CONVERTER. DETROIT 12V71 POWER UNIT, MODEL 7123-7000. 6 CYL NATURAL GAS ENG. 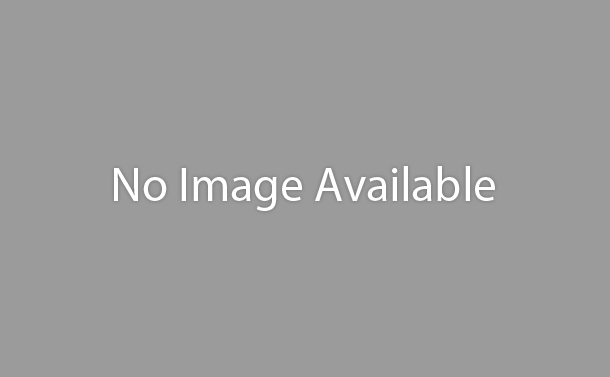 CAT D398B INDUSTRIAL PUMP ENGINE CORE, S/N 66B04072, 10% MECHANICAL GOVERNOR, CORE UNIT. 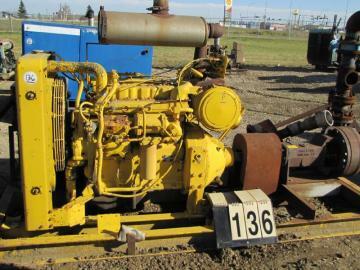 CAT D398B ENGINE, NO GOVERNOR, FLYWHEEL OR HMSO. 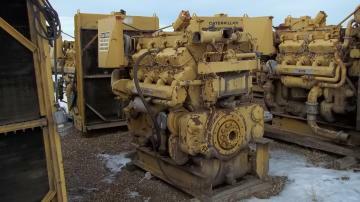 CAT D398B DIESEL ENGINE, PREMIUM PANEL, HMSO, 10,822 HOURS. CAT D398 ENGINE CORE, NO HMSO, NO TURBOS, NO GOVERNOR, NO AFTERCOOLER. CAT D398 ENGINE CORE, MISSING 1 CYLINDER HEAD, NO TURBO, NO GOVERNOR. CAT D379TA POWER UNIT, NO TURBOS, NO HMSO, 10% GOVERNOR. CAT D379 ENGINE, NO HMSO, 10% GOVERNOR. CAT D379D ENGINE W/ FAN, 10% MECHANICAL GOVERNOR. CAT D379B PC POWER UNIT, GAUGE PANEL, AIR STARTER, MASTER SKIDDED. CAT D379B POWER UNIT, 23 SQ. FT. RADIATOR, 10% MECHANICAL GOVERNOR. CAT D379B ENGINE, 10% MECHANICAL GOVERNOR. CAT D353E POWER UNIT, S/P, 10% GOVERNOR. 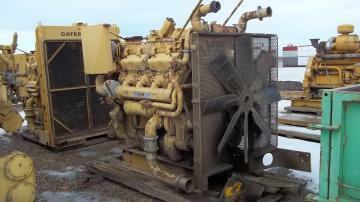 CAT 3508 MUI, INDUSTRIAL ENGINE, A/N 4W0281, 1200 RPM, PUMP STYLE GOVERNOR, REBUILT. NEW CAT 3412E POWER UNIT, "C" RATED, 575 HP @ 1400 RPM, COMPLETE WITH RAD AND BLOW FAN. CAT 3412 DITT ENGINE, NO FLYWHEEL. CAT 3406A ENGINE CORE, 10% GOVERNOR. CAT 3306 PCT POWER UNIT, S/N 66D21348, HOLE IN BLOCK. 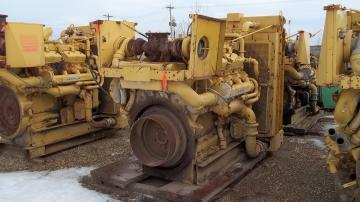 CAT 3304 DIESEL ENGINE W/ PTO, CLUTCH, BAKER SPD, 5" X 6" CENTRIFUGAL PUMP.